Plant a tree – Commemorate a special event. 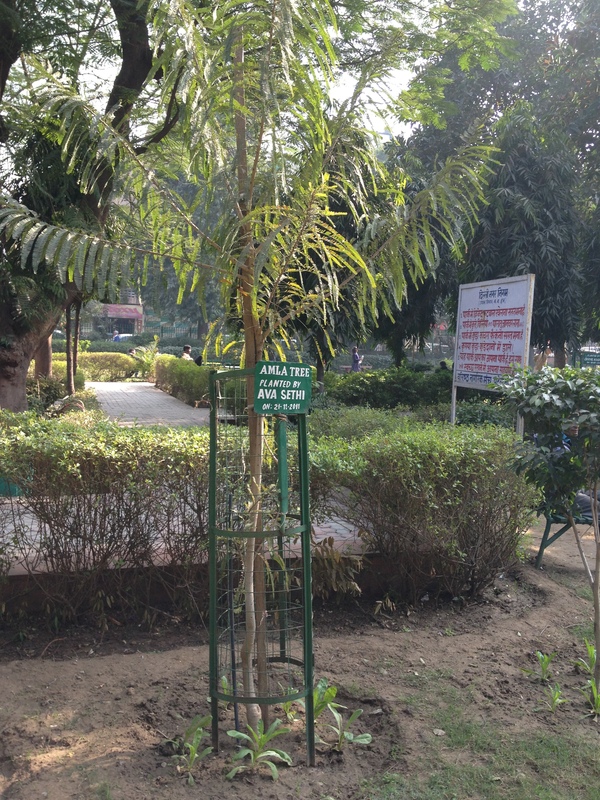 When we went to India for our family vacation last year, I asked the girls what they wanted to do and they immediately responded – ” We want to visit our tree in the park!” Two years ago, my in-laws had a beautiful idea of having the girls each plant a tree in the park where they take their daily walk. It was very special for us and I know brings a smile to their face when they see it. It also allowed the grandchildren to have a living connection(tree) with their “roots” (heritage) in India. It is really such a unique and special way to commemorate loved ones, celebrate a special birthday, a birth of a child, a new home, Mother or Father’s Day, wedding, anniversary, etc. You could plant a tree on your own property, at a local park…just do a google search for options. So the next time you are looking for a special and unique way to remember someone and do something positive for the environment, think about planting a tree. Great idea! Connection with the “roots” so true!! Lovely Idea! Is the picture on the story of the tree that the girls planted two years ago? Yes it is. It is a picture of one of the trees.